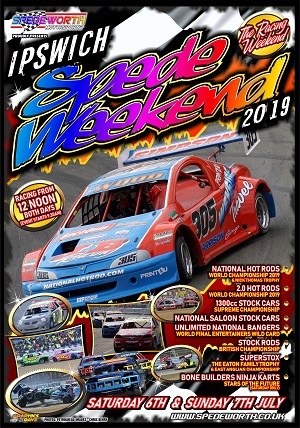 Spedeworth / Incarace would like to announce that the advanced ticket sales for the 2018 Unlimited National Banger World Final at Foxhall Heath Stadium, Ipswich on Saturday 6th October are now CLOSED!! 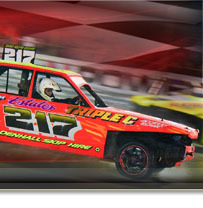 Spedeworth / Incarace would like to remind all drivers who have qualified for the 2018 World Championship race that you MUST use a fresh car. 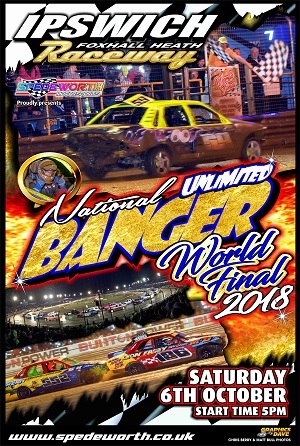 The 2018 Unlimited National Bangers World Championship advanced tickets are also still on sale.